60 years is a long time. Anyone got a bottle of wine from ’52? Or a car? In fact, anyone still remember 1952? For anyone who doesn’t know, it was 60 years ago that the Queen became the Queen. And that is as good a reason as any for brewing a special one-off brew. I have been looking forward to this beer since I first heard about it. It speaks to me in a thousand ways; I’m a Pom. I’m a royalist. I have an interest and enthusiasm about beer that some suggest is unhealthy. IPA is a perennial favourite of mine. And I have liked everything from Red Hill Brewery that has ever passed my lips. How can I not? They’re one of my local breweries, and they’re very very very good at it. In the interests of presenting a fair and impartial review, I should admit that I’m sampling this beer in less than ideal conditions; I’m sitting outside on a chillsome overcast day, and am in danger of being drenched from a nearby puddle which is just waiting for a child to jump into. But worst of all, the health and safety police have decreed that I be served in a plastic “glass”. Surely, the brewers die a little every time one of their beers is poured into plastic. For an Englishman, there’s something reassuring about a proper old-fashioned handpump. My pint took a minute to settle and reveal a beautiful golden caramel colour. It’s low on fizz, just as it should be for the style. Served a little too cold for a British IPA, it warmed and grew in my hand, eventually giving a nose preminiscent of dried apricots and cloves. There’s a lovely mouthfeel, it’s almost thick. Not quite creamy, but definitely unctuous. Initially sweet, the bitterness comes through almost instantly. It’s a blink-and-you-miss-it sweetness. But the bitter roasted malt lingers in the mouth after swallowing. It’s a great beer, although not an earth-shattering one. But… it does make me long for my old local village pub on a winter’s evening, when I could sit by the fire, with a dog curled at my feet, amongst the fog of pipe smoke. And for that reason, it does what it sets out to do, so is a winner in my book! 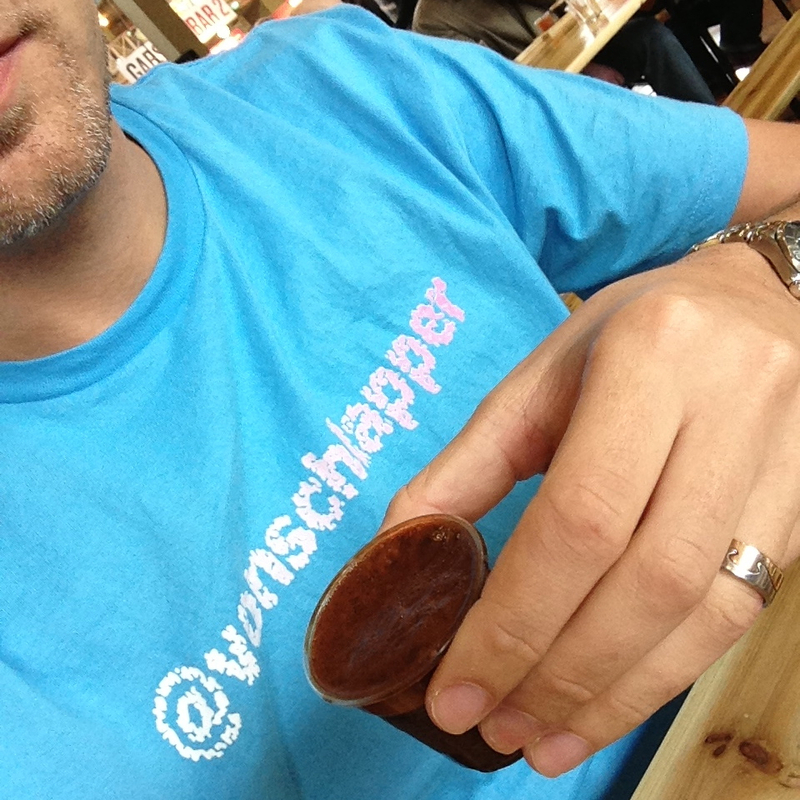 It feels like a mile-stone: I’ve been to my first beer launch. “A swift one might be nice!”. But who was I to go to a beer launch? I’m a nobody. You can’t really call yourself a blogger with a single post! 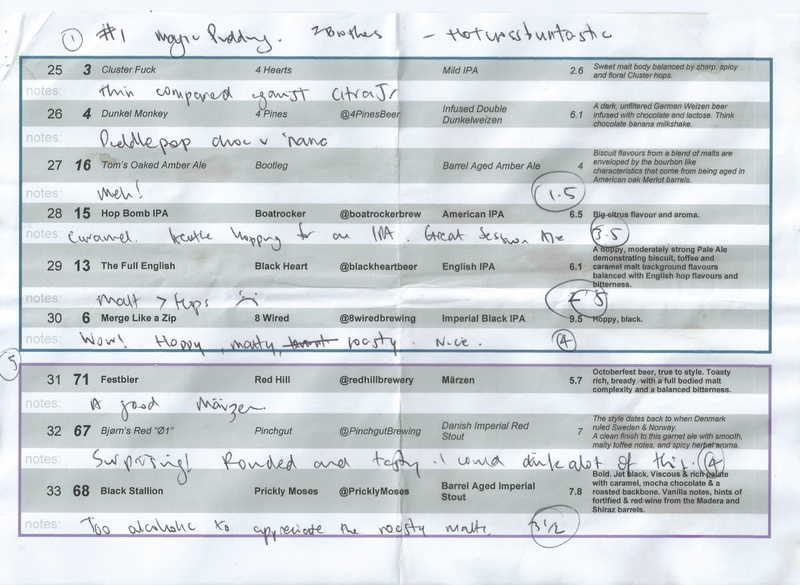 I’ve become mates with a few beer people through Twitter and Untappd, but I don’t really know anything about beer. I know what I like, but I’m an amateur. So I sat in the car, and wondered whether I should just go home. Who would I talk to? Would I be the sad git who shuffles in, has his drink without saying a word, then shuffles out again? But that thought just wouldn’t go away; a swift one really would be nice. And besides, I wouldn’t be on my own; beer people are good people. 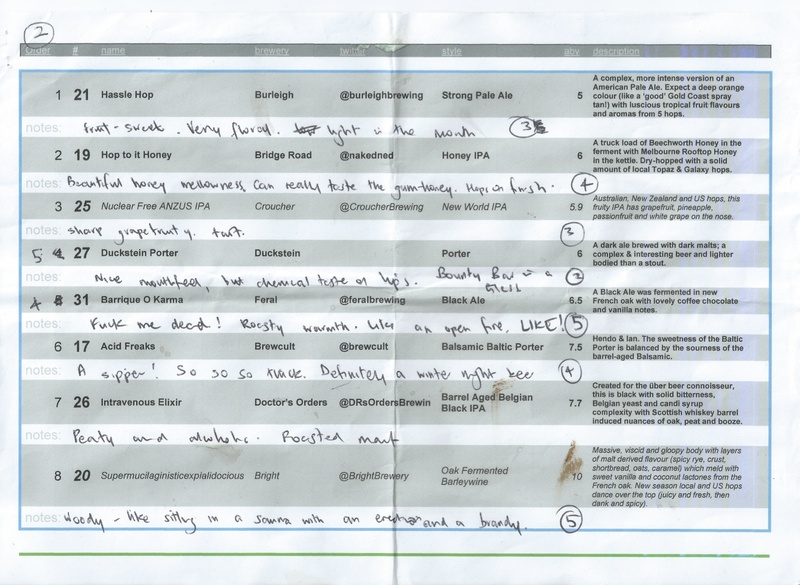 I’ve traded tweets with Matt from the Mornington Peninsula Brewery, on and off for a while. And I’ve admired his work from afar. 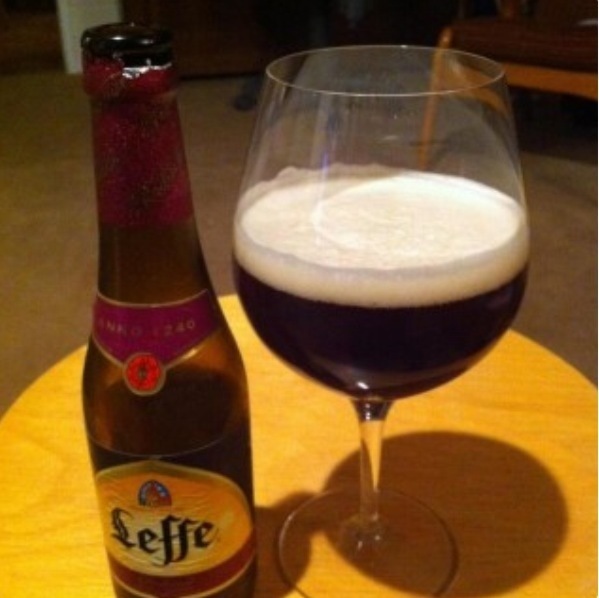 Well, not too afar – it’s often in a glass on its way to my mouth. But I’d not met him before, yet he greeted me like a mate. One of the nice things about the Australian craft beer scene is that you can actually get to meet the guys (and girls) responsible for making the beer. It’s not a closed shop; and it seems to me that the brewers brew because they love beer. My worries, about having nobody to talk to, had faded before my beer had even settled. Admittedly, that took a few minutes as Matt was still fine-tuning the flow through the sparkler. But even that felt good; experiencing teething troubles is part of the experience of being at the start of something. Waiting for the beer to settle felt rather like the half-light before sunrise – full of anticipation, expectation and potential. Matt waited to check that my first sup was followed by an exclamation of approval, before moving away to attend to others. As he turned away I heard my name from across the bar, and saw a familiar face grinning at me. I won’t say his name, for I haven’t asked his permission, but greeting me was a man whom I first met through work about four years ago. We met again in 2010 when he introduced me to several very fine beers, including Weihenstephaner Hefe Weissbier and Red Hill Brewery’s Christmas Ale. 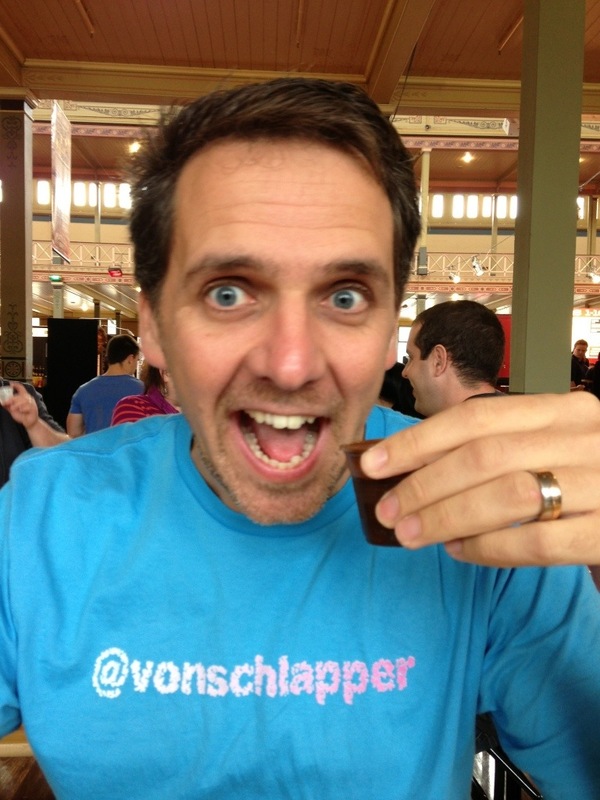 He didn’t know it, but he was the catalyst to my entering the Australian craft beer world. We chatted about all sorts of things; how we’d met and what we’d been up to since. 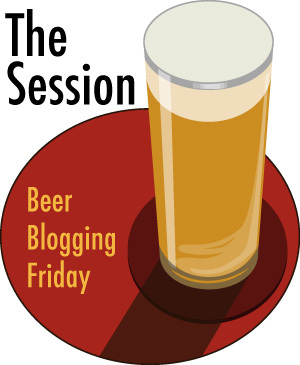 We talked about beer and brewing, about stouts and IPAs and Lambics. 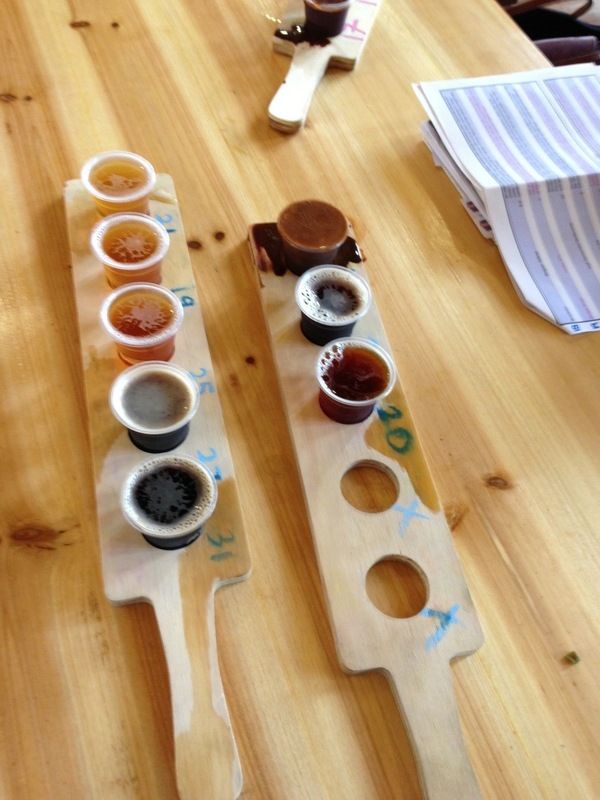 And we agreed that the Mornington Peninsula Brewery is a very fine establishment, producing a range of very fine beers. On a related note; I would go as far as to say that the brewery bar at Mornington Peninsula Brewery, has captured the atmosphere of an old English pub better than any other bar I’ve been to in Australia. The actual decor couldn’t be more different – bare concrete, high ceilings and an industrial aesthetic versus horse-brasses, an open-fire and roof-beams that you bang your head on. But the vibe is there; it’s just a very friendly place to sit with a cracking beer and talk to friends and strangers. 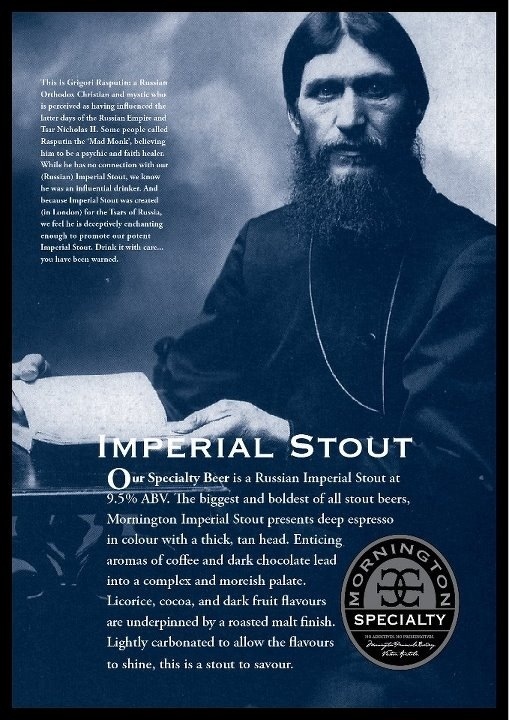 As for the Russian Imperial Stout… It is sublime! If your benchmark is Guinness or Murphy’s, you’re in for a VERY pleasant shock. I’m not going to describe it now, I’ll need to have another one. 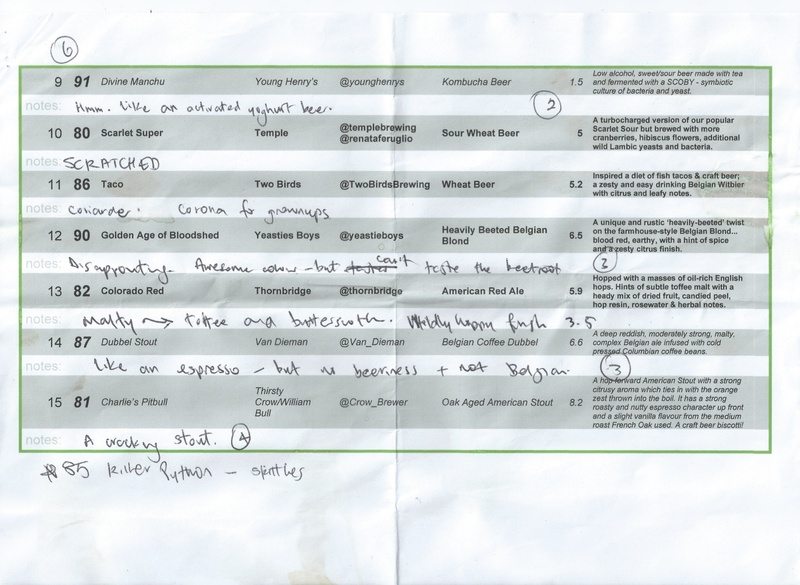 I’m afraid I didn’t take notes; I was having far too much fun talking to beer people, making new friends, and enjoying beer as a true social medium. Suffice to say that the swift one was very nice indeed!